Jon originally from England, began his career as an assistant in the United States at CCNC in 1988. During his tenure at CCNC he worked for the legendary PGA member Buck Adams and played numerous rounds of golf and took lessons from E. Harvie Ward. Jon’s first Head Golf Professional position was at Landfall Country Club followed by Porters Neck Plantation, both in Wilmington, NC. In 1998 Jon moved to Atlanta, GA to open a learning center with GOLF Magazine Top 100 instructor and ABC commentator Gary Smith. Through a mutual friend Jon met Todd Townes, a performance-conditioning specialist who worked with several PGA Tour professionals, NBA, NFL, NHL and MLB athletes. Together they began working to improve their client’s performance. In 2007 Jon and Todd founded Terminus Club (now Fusion ATL) in Atlanta, GA. This facility became their base to measure athletic golf performance and develop training protocols. The facility has four physical therapists, performance strength coaches, stretch therapists, massage therapists, 3D motion analysis systems for swing and putting. Fusion ATL recently signed a partnership agreement with Peachtree Orthopedic Group and a marketing agreement with Northside Hospital to promote wellness programs and performance training to kids in the Atlanta Metro area. 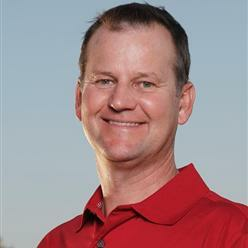 Jon has worked with PGA Tour, Web.com, LPGA, European Tour winners, members of Ryder Cup Teams and a winner of The Open Championship. In recent years Jon has coached winners of the following PGA Tour Awards: The PGA Tour Vardon Trophy Winner and Web.com Player of the Year.